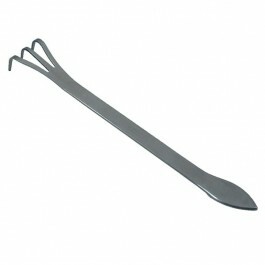 Rake and spatula combined in a single stainless steel bonsai tool. Useful for repotting and maintenance of your bonsai trees. The rake can be used for clearing the soil surface of debris (more useful for larger trees) or for raking the roots when repotting. 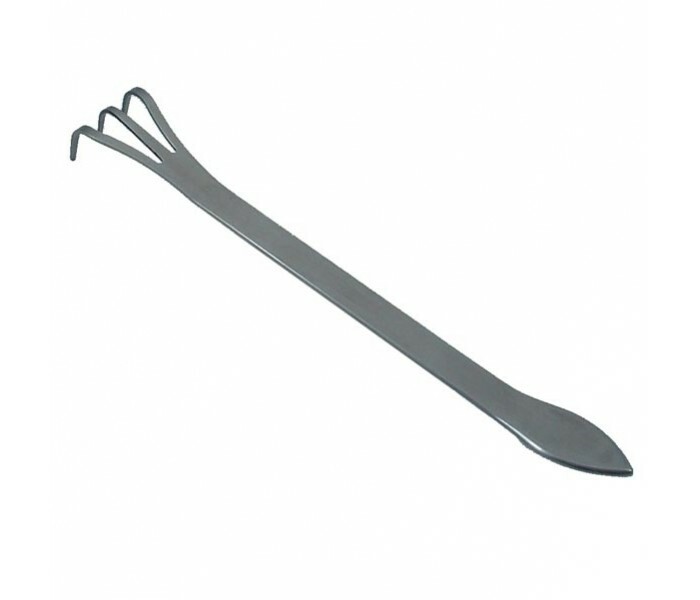 The spatula can be used when repotting for firming the soil around and under roots.